Hope Student Ministry exists to draw students, grades 6-12, into a deeper relationship with God and with each other. We are a relaxed community that likes to hang out, goof off and grow together. While we have various official meetings and gatherings in our weekly and yearly rhythms, so many of the significant things we experience happen in the context of simply living life together day in and day out. We would like to invite you to come get to know us a little better whether through one of our fun outings, retreats, Weekly Youth Group, or Sunday School. Feel free to reach out to Pastor Greg with any questions you may have. 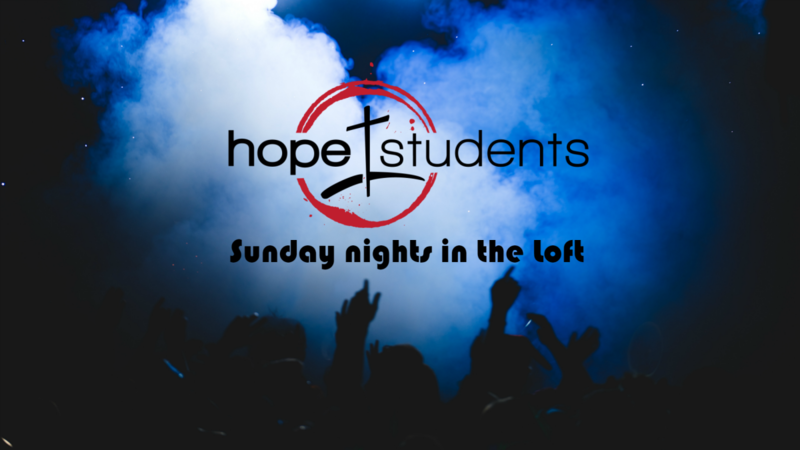 Join us at 6:00 pm in the Loft for Sunday Night Youth Group.